The unsealed, hard packed road to Summerland was a dream. Don warned us that there were three gigantic hills we’d need to walk up but we didn’t discover those. The perception of a hill from inside a car can be quite misleading. The hard pack eventually turned to sealed road again and as we flew down and around a bend, I hear Grieg shouting behind me. In the rear view mirror (a truly excellent item) I could see the trailer hurtling unattached down the hill, grinding and bouncing until it tumbled harmlessly into a ditch. It gave us quite a scare since we’ve whizzed through many corners with oncoming traffic or steep drop-offs that would have caused havoc had the trailer come off then. Grieg reattached it and felt confident that it was a one-off incident caused by grit in the spring. We rode through Summerland and on to Penticton where the woman at the info centre told us camping wasn’t available. 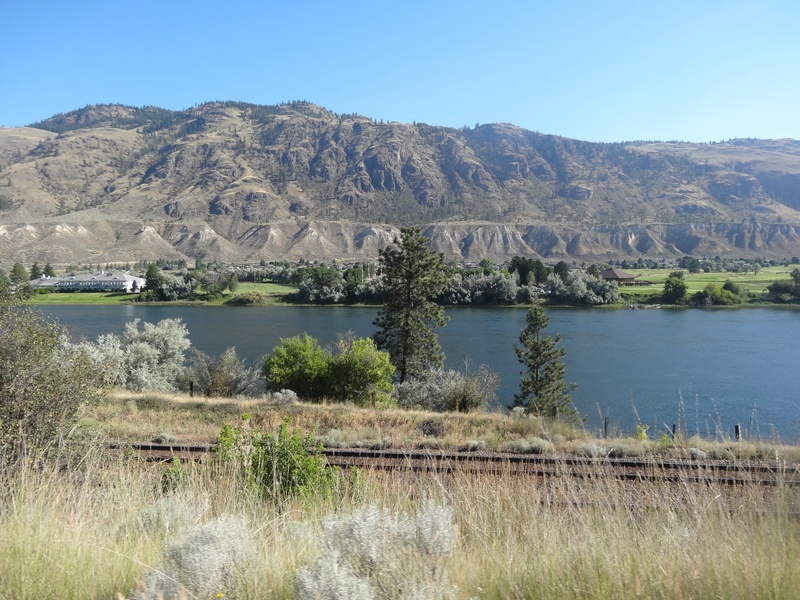 We greatly doubt this but riding extra kms to check with all the RV parks wasn’t very appealing in a howling gale so we rode on to Lake Skaha where we paid a scandalous sum for a middle of the road campground…but we were happy! Next morning, with expectations high, we struck out on the KVR again. Our rationale for this curious decision, hot on the heels of the last drama, was that we were now in a much more populated area, there would be many more trail users and an ongoing maintenance programme. Bollards have been installed to keep ATVs off, this could only be a good thing right? Well yes and no. A cyclist loaded up with panniers will pass through nicely if they’re careful, if they are not, well…. After brushing myself off and spreading a bit of betadine around, we were on our way again, no serious harm done. The trail surface was excellent and we settled in for a great ride with magnificent views across the Okanagan valley and lake. But things were about to take a turn. The tunnel pictured above is a landmark to be noted by any prospective trail users…this trail will now deteriorate to soft gravel and you’ll be doing less than 10km/hr…much less in many instances. If only there was such a sign! At first we figured it was just a bad patch and would surely improve soon. We kept doggedly on waiting for our nice track to come back, but it was nowhere to be seen. Five hours later we arrived at a little outpost called Chute Lake where we devoured a burger and beer/cider. A sight that lightened our hearts at Chute Lake was an open air/ lean-to arrangement (with heavy emphasis on the ‘lean’ bit) filled with random, rusty, obsolete and unidentifiable items, and the bold proclamation inscribed overhead ‘Museum’. It was time for a good laugh and we got one. Feeling somewhat restored we struck out again, hoping that the next section would be a big improvement since we still had a long way to go. Clouds gathered overhead and light sprinkles began which made the track a bit easier. But then black clouds appeared, the sprinkles turned to heavy rain and shortly after, a MASSIVE thunderstorm erupted. Lightening flashed all about us, and thunder roared like we’ve not heard before. The temperature dropped fast and all our wet weather gear was safely stashed in the trailer. Suddenly before us appeared the most beautiful thing – a long drop! It was large enough for us to wedge the trailer into, dig our dry clothes out and give ourselves half a chance of surviving this storm. On and on we rode in appalling weather, all the pot holes filled up with water so there was no knowing what we were going to hit. The thunderstorm was just one of the hazards. Once we reached Myra Canyon, a popular part of the trail due to its 17 trestles and two tunnels, things improved. Then Grieg spotted a small sign saying ‘Kelowna’. It pointed to a washboard road and another sign indicating 8km of great caution required. We were cold, wet and covered in mud but we flew down like A class mountain bikers until we reached the sealed road – and just 20km to Kelowna. Finally, at 7.30pm, 113km later, we arrived in Kelowna. I contacted our friend Dina to let her know we’d arrived, but before meeting her we needed to wash the worst of the days mud and filth off us and our bikes, so we pulled into a service station to take care of this. The attendant said that she was very sorry but they didn’t have a hose – whaaaat! So Dina met us at the entrance to the car park of her apartment in a gleaming black 7 series BMW, and ushered us up through the spotless, heated car park, into a marble and mirror elevator and on to her luxurious apartment – the most bedraggled and wretched looking souls you can imagine had just been rescued by an angel! The news headlines that night, as well as the front page of the newspaper next morning were all about the gigantic storm that hit the Okanagan Valley, the likes of which nobody could remember. Note to selves: always check the weather forecast before venturing out into the middle of nowhere. Our muddy, wet pile of stuff in Dina’s pristine foyer. Dina rescued and revived us! We did pretty much nothing the next day which was absolute bliss. But Kelowna is a lovely place with lots to do so over the next few days we went touring with Dina, visited a goat cheese farm, markets, wineries, beautiful spots on Lake Okanagan, walked Buddy along the foreshore. Oggopoggo, Okanagans own lake monster. View from Dina’s balcony. That brute, the KVR runs along the hills in the background. And an absolute highlight was cherry picking! We each got a bucket and were directed out to trees laden with huge bunches of cherries. It was such a novelty as we’d never even seen a cherry tree before let alone been set loose on acres of them. We ate at least as many as we bucketed. One for the bucket, two for me. And we brought a few home. We also returned, in fine style and weather, to Myra Canyon. A fire raged through the canyon in 2003 burning everything in its path. The community have done an amazing job of restoring the trestles, the trees will take more time. Myra Canyon, we think you’re ok.
One day we took to the kitchen and that evening had a great time sharing dinner with some of Dina’s neighbours. So much luxury can be a bad thing when you’re cycle touring and we feared that getting going again could be tough. We chose a very hot day to leave Kelowna, and also got away late. Then to make us even later, we decided to stop for one last coffee at our favourite little coffee shop. By 9am we were finally on the road, along with a lot of other traffic. We were tearing down a two lane highway with a concrete wall separating us from the oncoming lanes when suddenly I hear shouting behind me. I look in the mirror, the trailer has flown past Grieg and is catapulting down the inside lane. Faster and faster it went until the arm that attaches it to the bike dipped into the gutter causing the entire thing to somersault down the highway before tumbling to a halt in the middle of the fast lane. Grieg frantically hauled the thing onto the shoulder where, incredibly, there was barely any damage. It was a miracle that no traffic came through while this drama unfolded since trucks, RV’s, buses and cars roared past us all morning. Grieg was able to reattach it and we continued on as though this potentially catastrophic event hadn’t even happened. Thanks for the prayers mum and dad, and others! A few kilometres on we reached the town of Vernon where the guy in the bike shop straightened the damage in a vice and we were good to go again. Guys in bike shops are all great people! Our destination for the day was a little place called Falkland. The temperature soared and this one turned into a tough day. We staggered into the pub (pretty much a standalone building in Falkland) and after ordering cold drinks, asked the woman on the bar where the nearest campground was. ‘Oh, 10km that way,’ she pointed…up a gigantic mountain! She saw the horrified look on our faces and said, ‘I guess you could stay at the stampede grounds 200m up the road if you wanted to.’ We did, and it was perfect. Next morning we woke to a bizarre cacophony provided by turkeys, geese, roosters, peacocks and several other unidentified birds in the avery right next door. It was delightful. 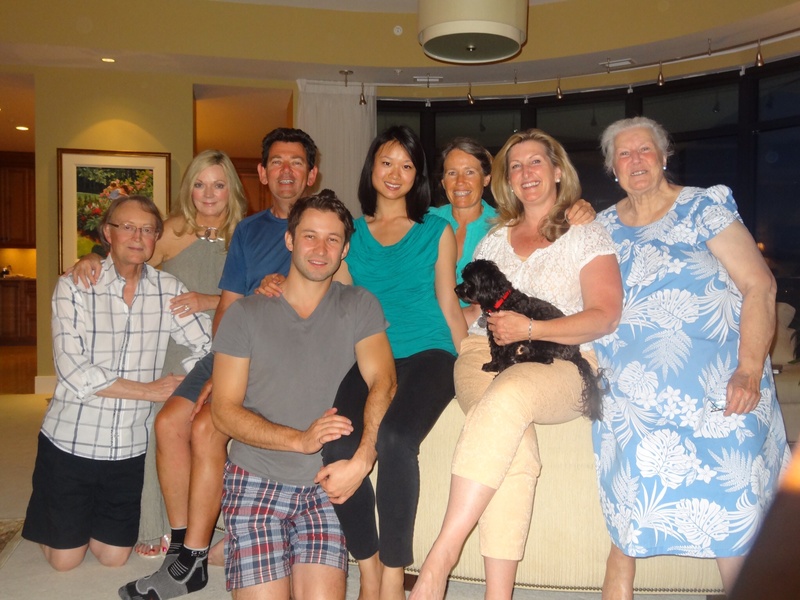 A good night’s sleep, good food, a good laugh and all is well again. Kamloops was our destination for the day. Nobody we’d spoken to had a nice thing to say about Kamloops and as we entered this dry, arid place on the incredibly noisy highway one, we understood why. We set up camp on another incredibly hot day and found some cool respite in the river. Later we spent a lovely evening with two fellow travellers who had just completed a circuit through the Rockies similar to the one we were planning. 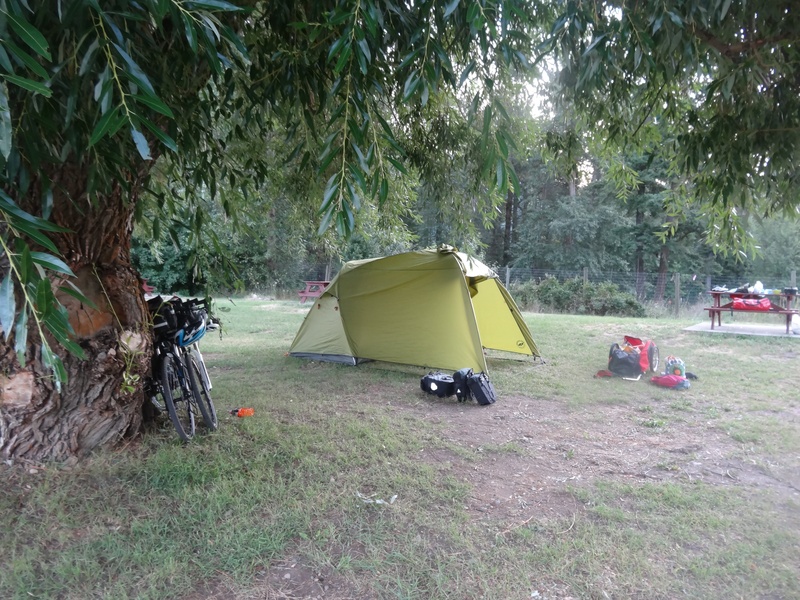 There’s an immediate and easy connection between cycle tourers. Next day Kamloops redeemed itself somewhat, we were off highway one and heading back into beautiful countryside. The next couple of days were spent riding through lovely country, lots and lots of trees, rivers and mountains but no bears yet. It’s been much hotter than we imagined and in Clearwater we spent an afternoon white water rafting, great fun and a welcome change from pedalling to paddling. In Blue River we camped next to another cyclist, Bart. 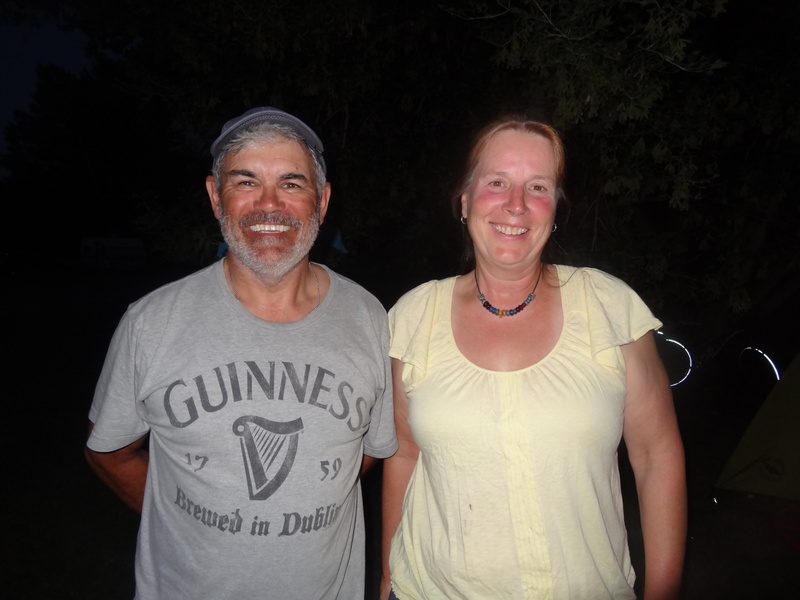 He was visiting from Belgium and touring alone. We decided to break camp early, have pancakes with bacon and maple syrup at a local inn, then hit the road as a trio. 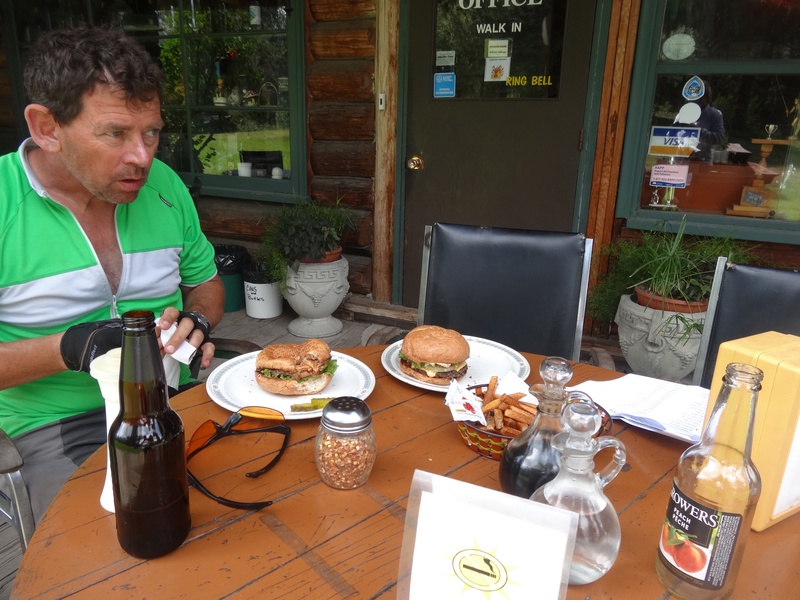 This worked out brilliantly and we knocked out a quick 100km to Valemount where Grieg and I decided to stop before the threatening thunderstorm struck, and Bart opted to go on due to his tight time schedule. And strike it did! Happy day, our first bear sighting! Next morning we broke camp and hit the road never realising that a special treat awaited us just a few kms up the road…this guy. What a magnificent fellow he was, a real live grizzly bear. We were pretty thrilled to see him just off the road, maybe 50m away, down a bank. He was completely non threatening and after taking a casual glance at us, lumbered off into the forest, leaving us with a special memory on our final day in British Columbia. The plan was to have a short day on the bikes because we were both quite tired. The girl at the info centre told us there was a campground ‘no more than 7km down the road’….it was another falsehood. 40km later we arrived at Lucerne. We forgave her because it was such a great spot! Pausing/posing in the shadow of a smoke veiled Mt Robson…highest peak in the Canadian Rockies. Was just thinking of you guys this morning thinking we hadn’t heard from u for a while. Love reading the stories. Missing u heaps. Will have a rum and coke with chicken wring tonight for u Grieg while watching the 1st test. And of course a glass of champagne for u Jules. Loved every word, and almost every photograph! Thanks guys. More safe travelling! Wow, love it — “…we knocked out a quick 100km…” It would seem that you are well-and-truly into the swing of cycle touring! I’m very afraid of riding with you when you get home…you’ll both be promoted to A Team I reckon. 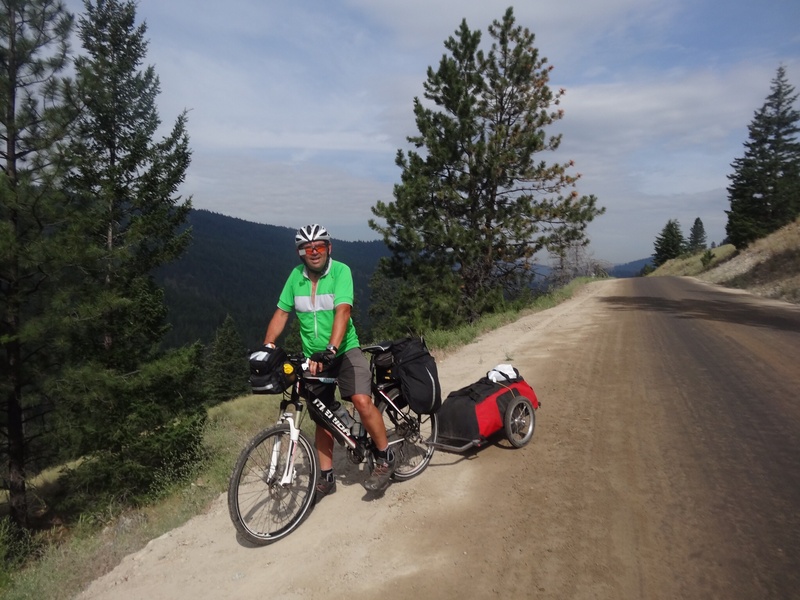 Bears, deep gravel, heat & sun, thrashing rain, thunder, smoke, and a rogue bike trailer with a mind of its own–it’s proving to be the very adventure you were hoping for!??? Too bad Mt Robson was in a smoke haze when you were there. It is one massively impressive piece of granite when seen on a blue-bird day. Hi Guys, amazing. So much is happening with every kilometer you cover!! love reading it. Bet you guys can’t wait to get back here and show us up. How lucky you guys are!!! We have been past Mt Robson numerous times and never been able to see the top – always had cloud cover. Even with the smoke you got to see it. How was lovely Jasper? Looking forward to further posts from our old stomping ground.